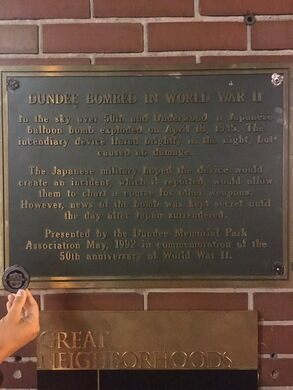 In the closing months of World War II, a Japanese balloon bomb exploded in the quiet of the evening sky in the Dundee neighborhood of Omaha, Nebraska. 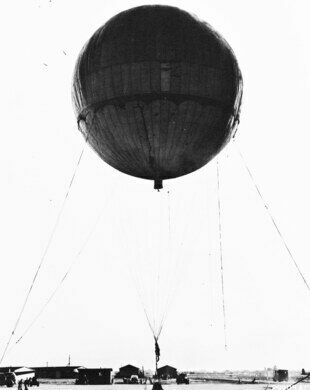 These so-called “fire balloons” were filled with hydrogen and carrying bombs varying from 11 to 33 pounds, and were part of an experimental Japanese military offensive. A formerly brick-paved section of the historic coast-to-coast highway. The bomb that exploded in Omaha on April 18, 1945, was one of more than 9,000 balloons launched during a six-month period at the end of the war, and one of the nearly 300 that were found or observed in the United States. These experimental weapons brought the Second World War closer to home than most Americans realized. But the Dundee explosion, and the larger plan it was a part of, are one of the many little-known incidents marking our time at war. Japanese military leaders deployed these balloon bombs with the hopes of creating panic and widespread media attention, which would allow them to chart courses for future attacks. There were a few reports of explosions published in various outlets, however the U.S. Office of Censorship—a wartime agency set up to censor communications coming in or out of the U.S.—sent messages to all media outlets asking them not to publish news of the balloon bombs. The Dundee explosion, as well as several others, was not reported until after the war had ended. Beyond Nebraska, Japanese balloon bombs were dropped in 26 other states and Mexico. Most of the attacks caused no severe damage or injuries, but one explosion in Oregon two weeks after Dundee resulted in the deaths of a woman and five children when they discovered an unexploded bomb in the woods. Remains of the fire balloons continued to be found after the war, with the most recent discovery made in 2014 in Canada. 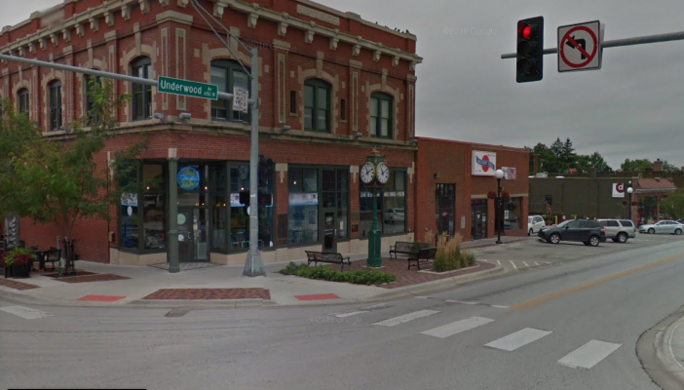 The plaque is publicly accessible, mounted to the outside wall of a commercial building on the south side of the street. A fortified sand barrier dividing the contested territory of Western Sahara is the longest minefield in the world.